I Think I Just Bought This! Well, first, wow. That was an amazing election last night. The great turnout, the enormity of significance. But I’ll leave it at that. There are other sites for those observations. Today’s installment is a special one, and it couldn’t really wait till next Monday. Yesterday something truly historic and remarkable happened on many fronts. Whatever your political bent, or choice for office yesterday’s massive voter turnout should be an occasion for us all to be proud. We’ve got a long road ahead of us all, but we can take a moment to pause and take in just how profoundly important this week’s election truly was. I’m agog at what just happened, and I salute all of you today for showing up and putting your name in the hat and making your voice heard. Well done, folks! I believe it was a great day for America. Greg Ruth Strikes Again . . . and Again . . . and Again! 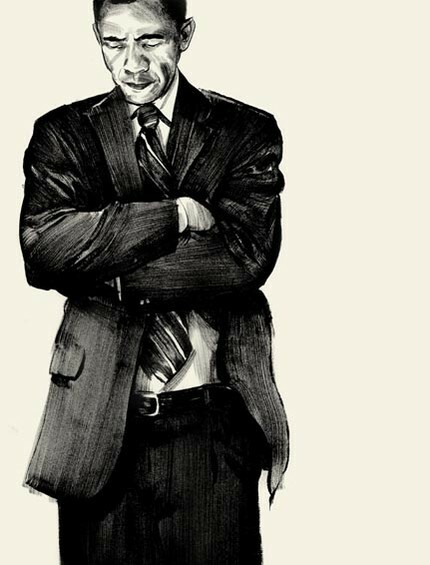 Greg Ruth is a remarkable illustrator and, from what I can gather, an all-around good guy. 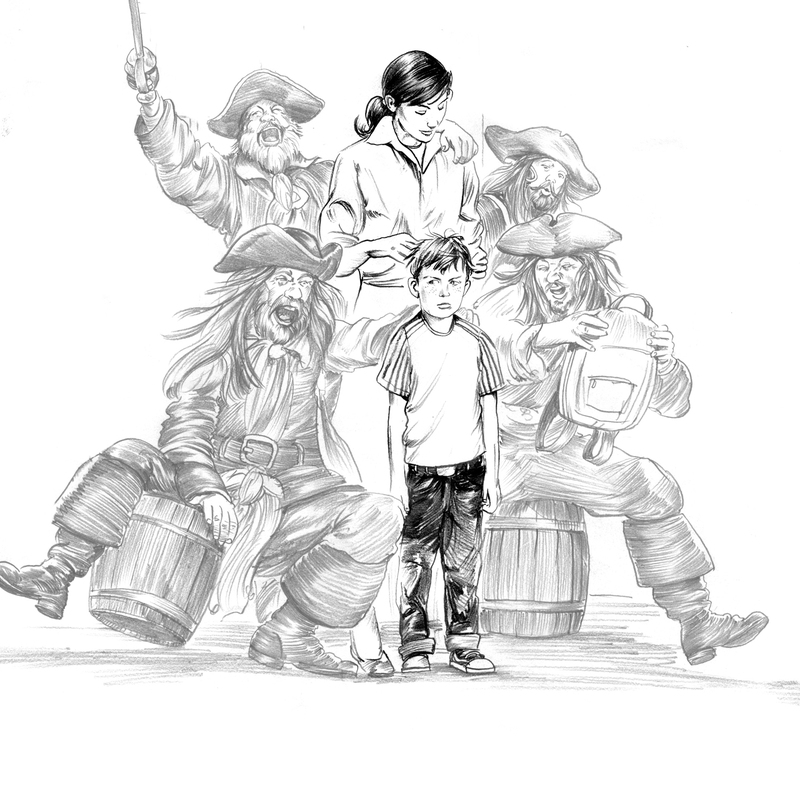 He’s currently finishing up the illustrations for our upcoming book, scheduled for sometime in 2010, A Pirate’s Guide to First Grade (Feiwel & Friends). What you are looking at is an early ROUGH SKETCH that Greg produced for it. Yes, that’s loosey-goosey Greg, getting all jiggy with it; I can’t wait to see the finishes. But that’s not why I’m writing. I’d like to belatedly announce Greg’s latest experiment, THE 52 WEEKS PROJECT. Each Monday for a full year Greg promises to offer a new drawing of the same size and proportion, but wildly varying subject matter, posted on the STOREFRONT section of his way cool website (just click on the bag of bananas to find the storefront). 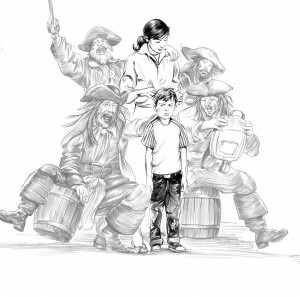 Greg has worked for years on comic books, graphic novels, book covers, and other stuff; Pirates is his first (but certainly not last) picture book. Click around and enjoy — and thank Feiwel & Friends for bringing this incredible talent into the world of picture books.